It is exciting to finally get your braces off and move into the retainer stage. Here are a few things you should know about the different types of retainers. A retainer keeps your teeth in place after your braces come off. It takes almost a year for the periodontal ligaments to solidify into their new positions after your braces are removed. That's why you need to wear your retainer exactly as your orthodontist directs. If you slack off or stop wearing it, your teeth could shift and get crooked again, or gaps could open up. 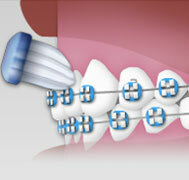 The fixed retainer prescribed for you is designed to maintain the final positions of your teeth. It may be used on the Upper or Lower arch. The fixed retainer consists of a tiny wire glued comfortably behind the teeth. 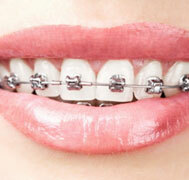 Usually you will wear a removable retainer at night in addition to the fixed retainer. Fixed Lingual Retainers should be cleaned by normal brushing and mandatory flossing on a daily basis. A simple floss threader is used to loop the floss under the wire to permit cleaning. Biting into hard foods with your front teeth could cause the fixed retainer to break. Habits like chewing ice or chewing on the ends of pens or pencils will damage the appliance and should be avoided. 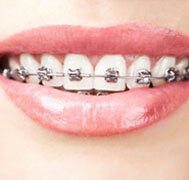 If the fixed retainer breaks or becomes loose for any reason, please call the clinic as soon as possible. YOU SHOULD IMMEDIATELY BEGIN WEARING YOUR REMOVABLE RETAINER FULL TIME TO MAINTAIN THE CORRECTED TOOTH POSITIONS.Continue wearing your removable retainer full time until your appointment to have your fixed retainer repaired or a new one inserted. Contact one of our best orthodontist in Dubai Orthodontic Center to get your treatment for Lingual fixed retainer or removable retainer. We specialize in all kinds of denal retainers in Dubai. You must wear your retainers FULL TIME for the first month. After this, you must wear them EVERY NIGHT for the next 11 months unless other instructions were given by your doctor. 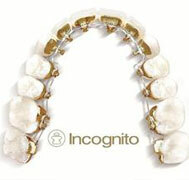 If you do not wear your retainers as instructed, your teeth will become crooked again. When wearing your retainers, do not flick them up and down with your tongue as they will break. Please contact our clinic immediately if you have a breakage. You will need a replacement urgently. Please remove your retainers for eating. You have been shown at the surgery how to do this properly. Retainers should be removed for swimming, contact sports and playing a woodwind musical instrument. When you remove your retainers, always put them in your retainer box. Keep your teeth and retainers extremely clean at all times. You must brush your teeth after each meal. Use your toothbrush and toothpaste to gently clean the retainer. Rinse your retainer with cold water very thoroughly to remove all traces of debris and toothpaste. DO NOT place your retainers in HOT WATER as they will distort and will no longer fit. 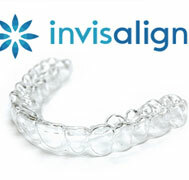 Always bring your retainers with you when you come to see us for retainer checks. PLEASE NOTE: Retainers are extremely fragile and must be looked after very carefully. Careless use will result in cracking and breakage of your retainer. At Bright Smile, we are proud to be one of the best orthodontic center with experienced team of orthodontists. Our aim is to give utmost care using the advanced technology ensuring safe and best oral health for our patients. We specialize in all kinds of quality treatments for dental retainers; be it fixed ligual retainers or Essix retainers you just have to visit us and we will ensure to give your dental care experience a pleasant one.